"Richard is very nice, and his system does a great job in reviving old dirty carpet. High traffic areas and stairs are the hardest areas to make a big difference, but he does a really great job. It is a bit more pricey than other companies, but I promise you aren't getting the same cleaning quality if you use another company." "Richard came tonight to clean our carpets just in time for Thanksgiving. He fit us in after hours and our carpets look beautiful! He was kind, professional and very reasonably priced. Our off white carpets took a beating from our 2 large dog and kids running in and out. The carpets look new and beautiful! Highly recommend this company." 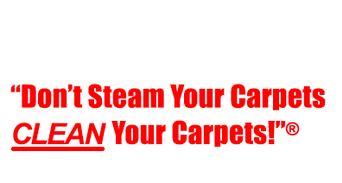 "Clean Pro cleaned our carpets today and we were very happy with the result. Our carpets look great, he was very thorough and detail-oriented. He was friendly, pleasant, and professional. Will definitely use him again!"